I just realized I never shared this quilt from 2016! To see what I'm currently working on, please follow me on Instagram at deJongDreamHouse. 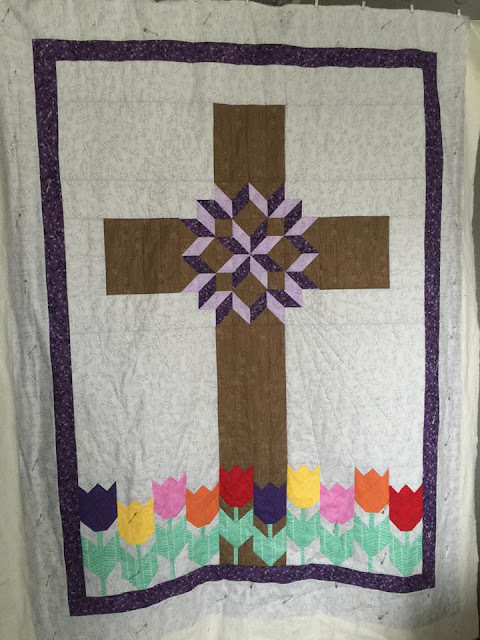 It's Easter weekend, which means it's a good time to share this quilt I finished last year during Holy Week. I made this quilt for my son's Sunday School teacher, Mrs. Adkins, who is exactly the kind of person you think of when you think of a sweet little old lady who teaches first grade Sunday School. Last year, on Palm Sunday, I noticed that Mrs. Adkins was not at church. I was really surprised so I asked about her and found out that her husband of 50+ years passed away suddenly. My heart just broke for her. As soon as we got home from church, I started looking for ideas. I was really inspired the Carpenter Star Cross by the talented Judit Hajdu of Quilt Fox. 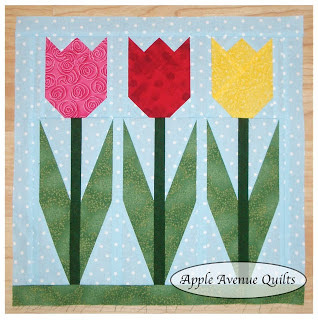 I also drew inspiration for the tulips from Apple Avenue Quilts and A Bee in My Bonnet. 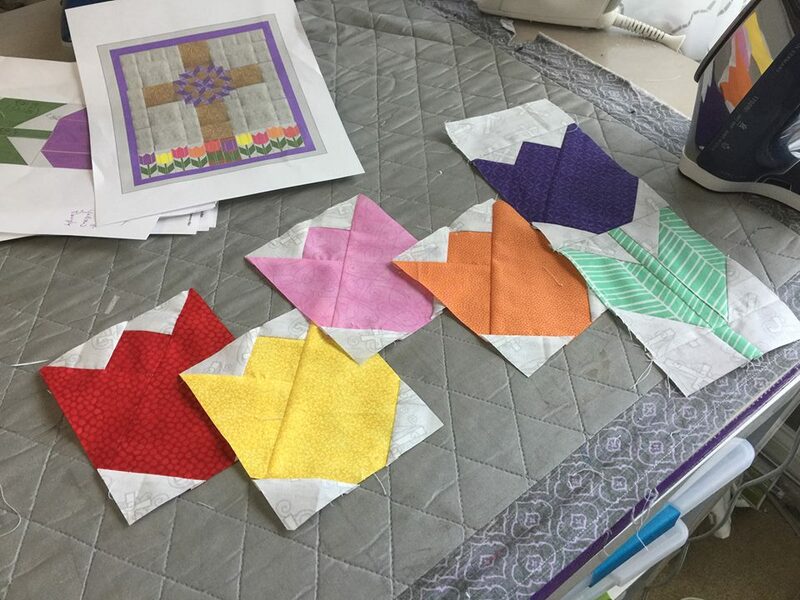 I paper pieced the tulip blooms from Apple Avenue Quilts--my first time ever trying this method. For the leaves, I used the tutorial from A Bee in My Bonnet. I started with the tulips, because I was most nervous about making them. 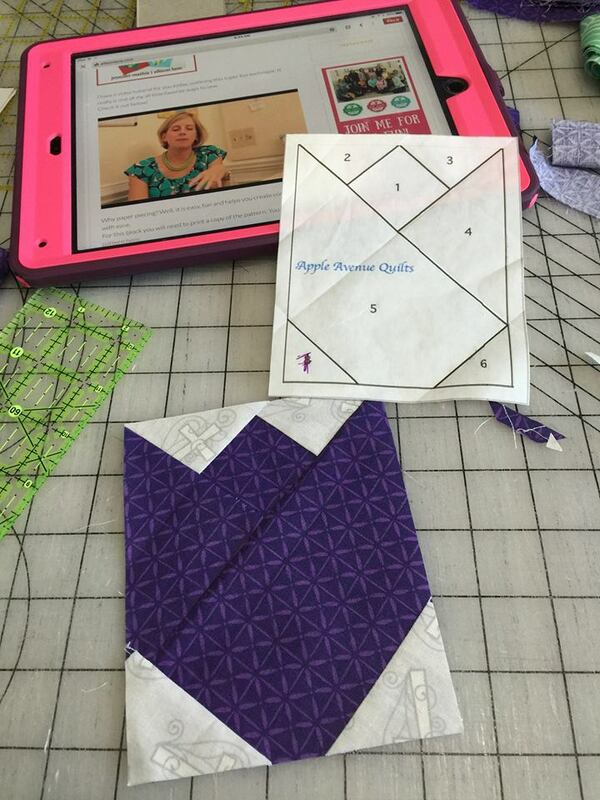 I followed the awesome video tutorial from Jennifer of Ellison Lane, and she took all the fear out of paper piecing. I was actually a little sad when I finished this part. 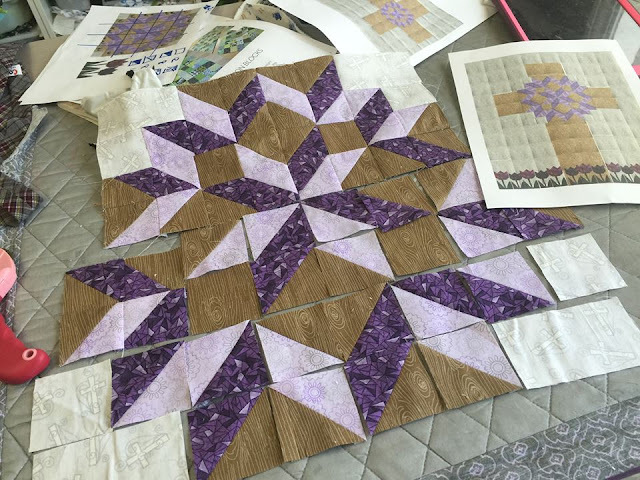 (And I have done a lot more paper piecing in the last year). The stems were traditionally pieced. The Joel Dewberry herringbone print was perfect for the leaves. Next, I worked on the carpenter cross. I changed the size a bit so that design expanded beyond the cross. You can also see that I vastly underestimated the size of the tulips. 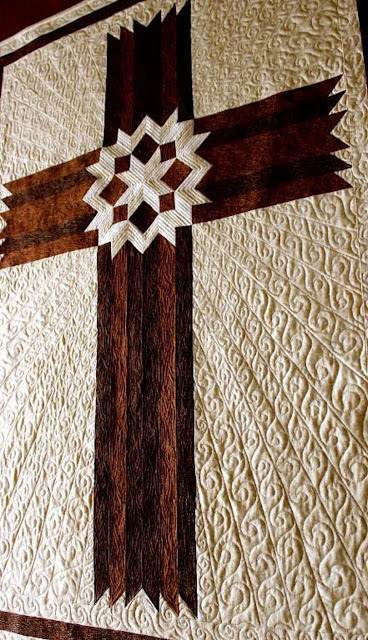 If I were to make this quilt again, I would make them smaller for a better sense of scale with the cross. Once those two parts were done, the rest went together easily. 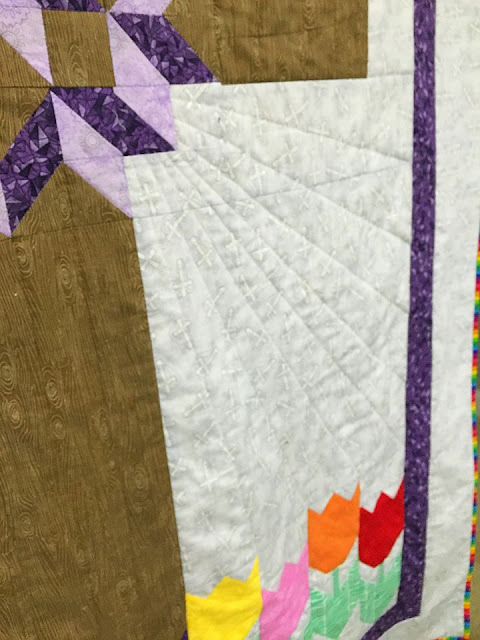 I used straight line quilting to radiant out from the cross. I was able to finish it in less than a week! D showed me how big a hug he wanted to include with the quilt. 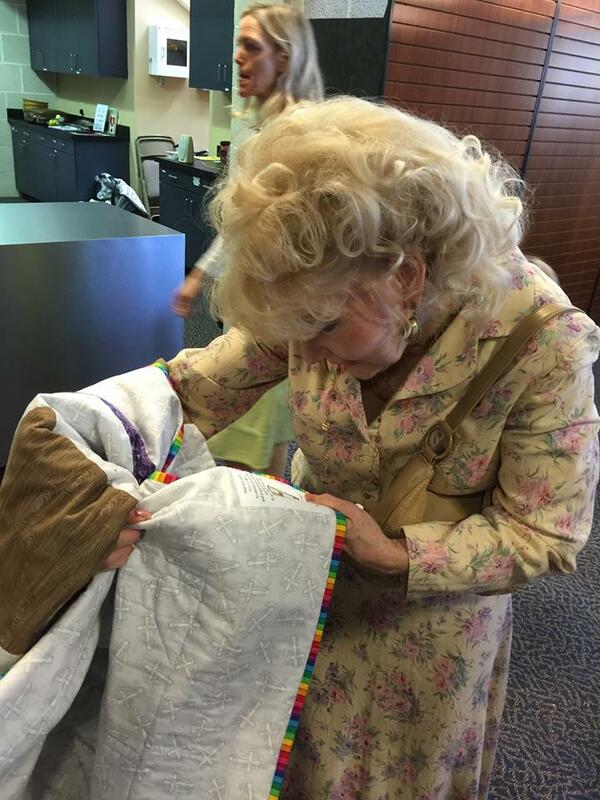 I always love to deliver quilts in person, but this one was extra special. 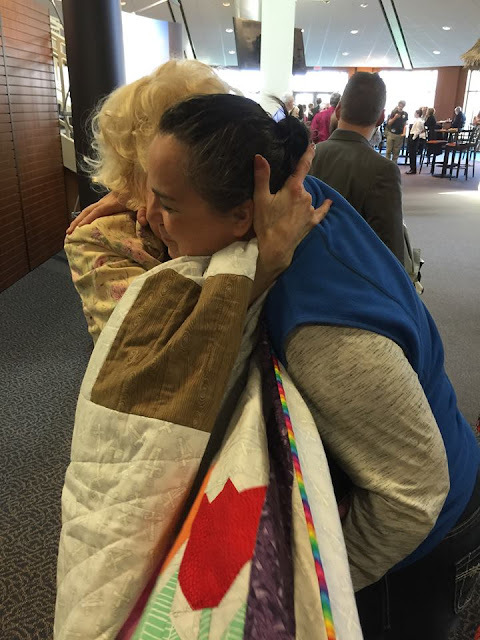 No better payment than a hug and a sincere thank you. 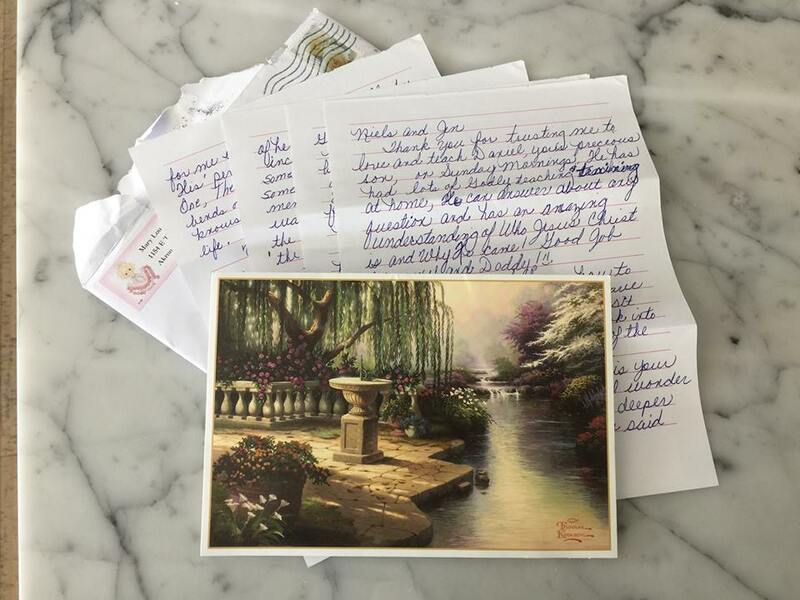 A few days later, I received the most amazing thank you note. 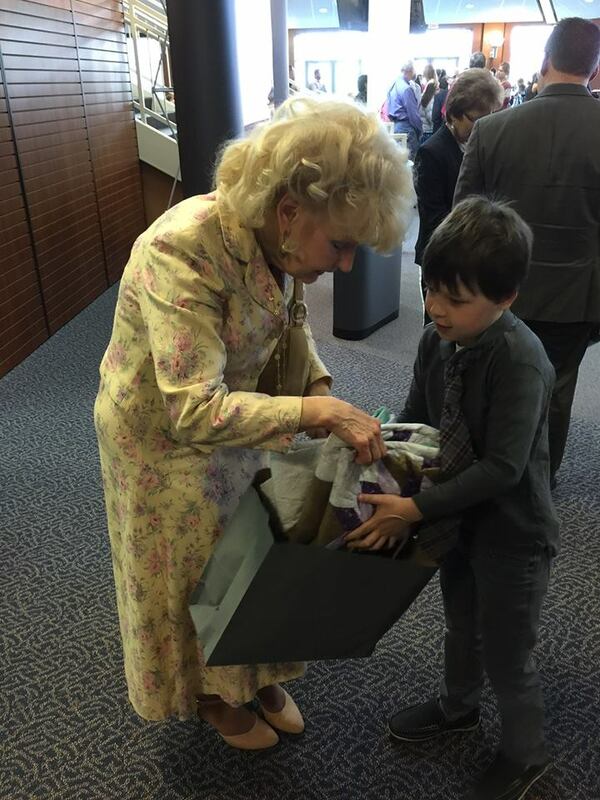 In trying to bless this sweet woman, I was blessed so much more in return. 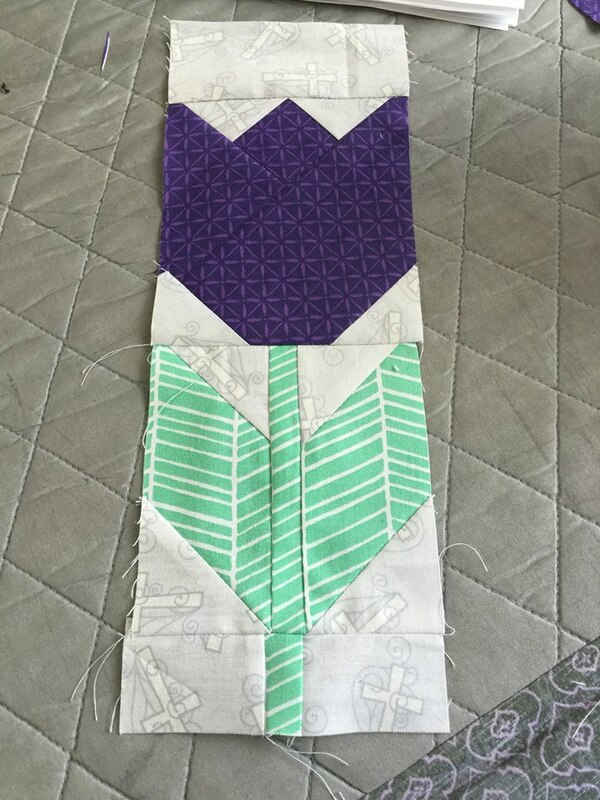 What a beautiful gift!This quilt looks amazing! I love the size of the tulips the way they are. Gorgeous! I love paper-piecing, too -- you can't beat the precision of paper-piecing with traditional piecing. And you know, I think the size of the tulips is perfect. It might not be true to scale in real life, but it strikes a great balance with the cross here. What a beautiful Easter quilt!! So sweet of you - and his hug photo!!!! 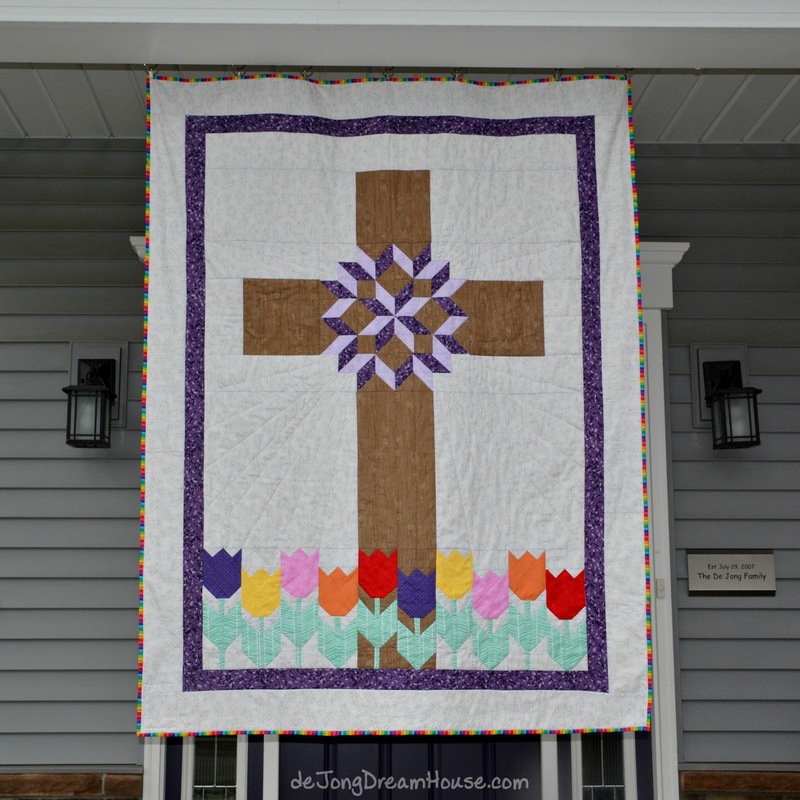 Really love this Easter Quilt - will be pinning to come back and recreate in the future!! What a special and beautiful quilt! What a lovely gift! Looks like she loves it! Again, the perfect quilt for your friend. You're right; when we give we receive so much more in return. Thanks for sharing this on Wednesday Wait Loss.